Faurschou Foundation is pleased to present a solo exhibition of American artist, Doug Aitken, at Faurschou Beijing. It is the first solo exhibition of the artist in mainland China. Aitken has developed a multimedia oeuvre that spans a wide array of mediums, integrating film, sound, photography, sculpture, performance, happenings, and site-specific installations. 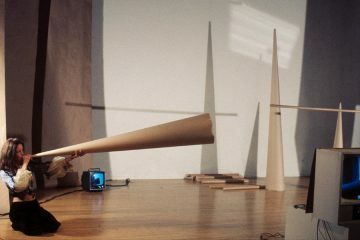 This exhibition features three installations including the video work New Era. Aitken’s body of artwork takes the viewer into a different world, which explores ideas and takes you places that language cannot fully articulate. 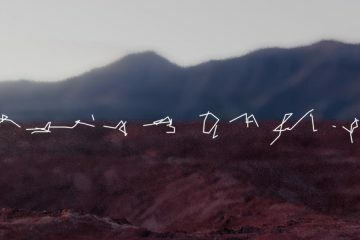 Through image, forms and sound, the artworks conceptualize the idea of a current world that is completely kinetic and synchronized, yet at other times a landscape that’s vastly isolating. Entering the first room of the gallery, New Era creates a hexagonal space of alternating mirrors and projections, which take the 1973 invention of the very first cellular telephone by Martin Cooper as a starting idea. The narrative within this work disintegrates and abstracts, mirroring how the diametrically opposed notions of connectivity and freedom have been underlined in this paradigm-shifting moment in history. 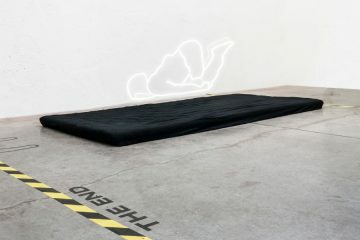 In the second room, the viewer steps directly into 3 Modern Figures (don’t forget to breathe),an installation of three human figures resting on a raw wooden floor. These are not heroic figures but a candid snapshot of modern individuals frozen as if time had stopped. In the empty core of the sculptures light emanates and pulses. 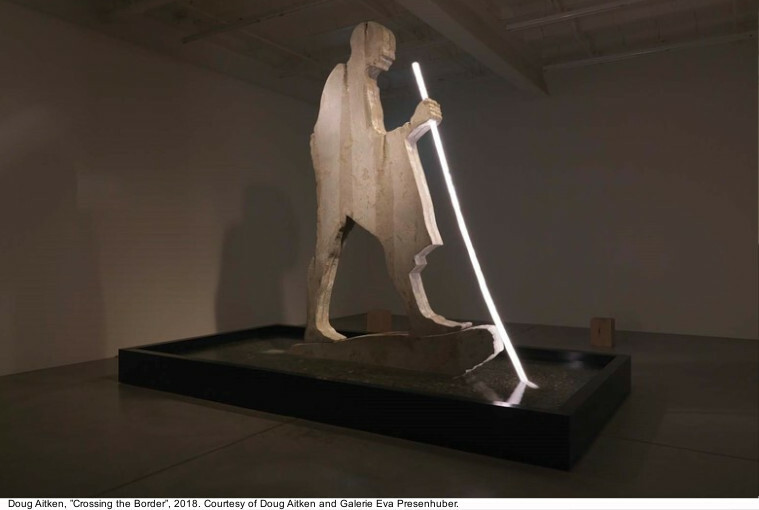 In the third darkened room stands a 12-foot rock and concrete sculpture with visual parallels to a brutalist monument, titled Crossing the Border. The slab of stone and concrete is cut in the shape of a silhouetted image of Gandhi. Echoing in the large room we hear patterns of dripping water, the water appearing out of openings in the rock figure. 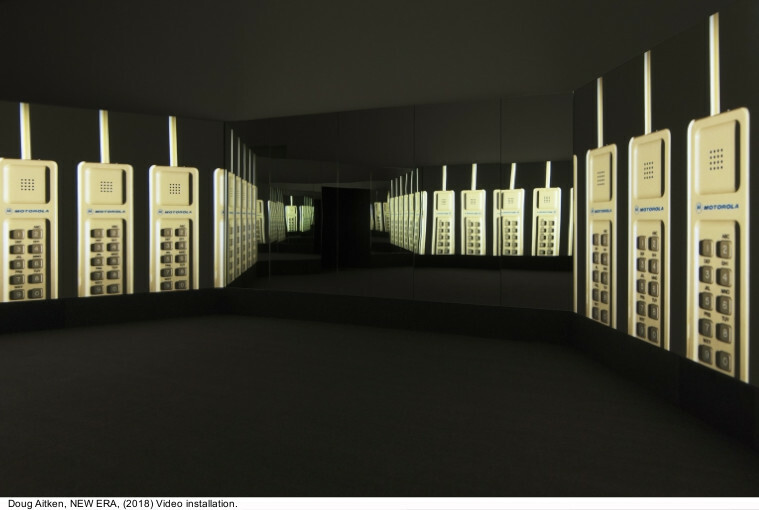 Connecting three works in the sequence of three rooms, this exhibition starts with the invention of the cellular phone, reflects the way humans are both in and out of sync in this age of technology and ends with Crossing the Border. 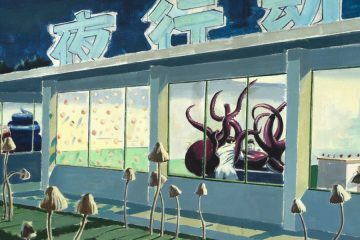 The exhibition creates a fragmented narrative of today’s digital contemporary landscape. In this landscape, Aitken’s works are signposts, making the viewer pause, stop and evaluate their surroundings. 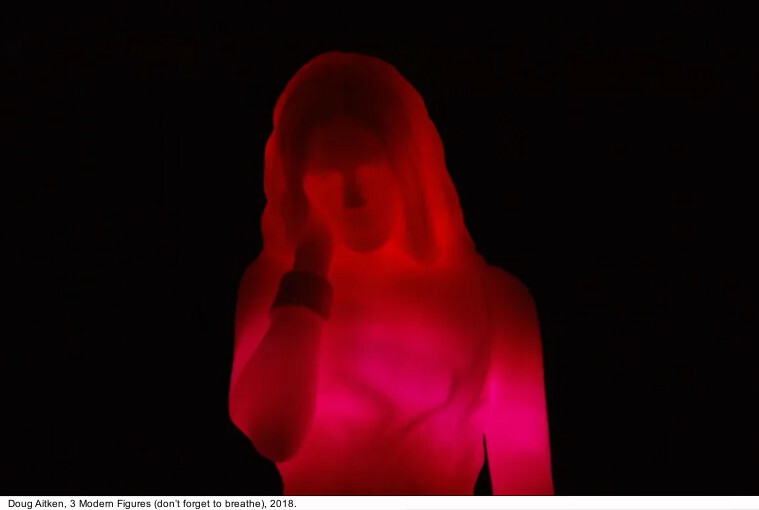 The artworks are courtesy of the artist, 303 Gallery, New York and Galerie Eva Presenhuber Zurich/New York, and the exhibition will open in connection with Beijing Gallery Weekend 2019. Doug Aitken is widely known for his innovative fine art installations. Utilizing a wide array of artistic approaches, Aitken’s eye leads us into a world where time, space, and memory are fluid concepts. His work has been featured in exhibitions around the world, in such institutions as the Hirshhorn Museum and Sculpture Garden of the Smithsonian Institution, the Whitney Museum of American Art, The Museum of Modern Art among others. 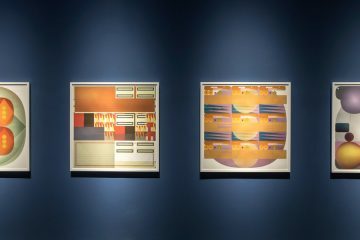 Aitken earned the International Prize at the Venice Biennale for the installation “electric earth,” the 2012 Nam June Paik Art Center Prize, the 2013 Smithsonian American Ingenuity Award: Visual Arts, and the 2017 Frontier Art Prize. Recent solo exhibitions include survey exhibitions at the Schirn Kunsthalle, Frankfurt, Germany (2015), The Museum of Contemporary Art, Los Angeles, CA (2016) and the Modern Art Museum of Fort Worth, TX, USA (2017). 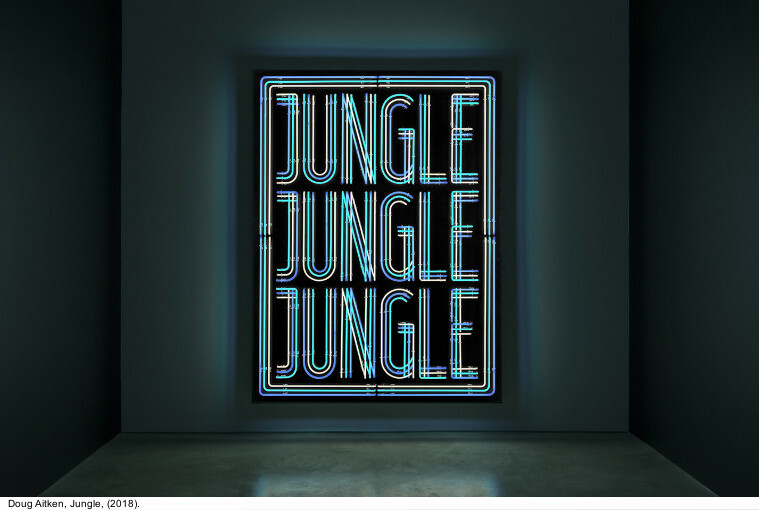 Doug Aitken lives and works in Los Angeles. Faurschou Foundation is a privately owned art institution with a growing collection of contemporary art. It has exhibition venues at Copenhagen North Harbour as well as Beijing’s art neighborhood 798. Faurschou Foundation introduces the visitors to some of the world’s most acclaimed artists. Over a very short period since its establishment in 2011 Faurschou Foundation has profiled itself as a significant art institution with solo exhibitions of artists Ai Weiwei, Cai Guo-Qiang, Louise Bourgeois, Shirin Neshat, Gabriel Orozco, Danh Vo, Bill Viola, Yoko Ono, Liu Xiaodong and Peter Doig.